One of my three children was diagnosed two years ago with Type 1 Diabetes: a life-long, auto-immune genetic disease, very different from Type 2 Diabetes in cause and treatment, and unfortunately unpreventable so far. He needs insulin to live – yet too much insulin could kill him. Which translates into trying to navigate while walking on a balance beam, each day and each night. It is a most unpredictable disease with constant shifts, twists and turns. And slaps in faces- but also mercies. He now is 12 years old. My dear 14 year-old niece across the globe has the same disease, diagnosed at an even younger age of 3. She wears an insulin pump as well. They go through very similar things with big ups and downs and everything in between. It is yet another connection that binds my sister and I together even stronger. For that I feel so thankful, and a lot less alone. I write this because these circumstances have deeply affected our families’ lives; my life, my being. We were thrown into this ‘parallel universe’ very suddenly without notice or choice. It is a huge part of what I do (it doesn’t stop, ever) and who I am. There is no way around it. There are intense ups and downs. It never really ‘settles’ or ‘smooths out.’ I wish! There are innumerable amounts of variables involved. It makes each day different. It constantly interrupts. 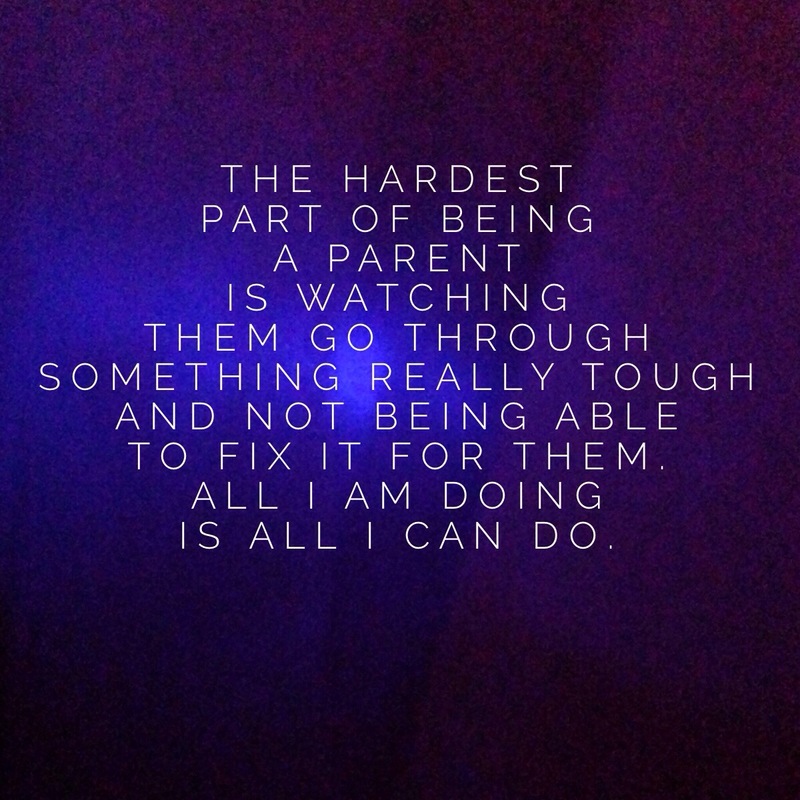 It can be utterly exhausting, physically and mentally. A lot of sleep, and peace of mind – lost. All that affects you. And that is not completely understood in the ‘real’ world. I understand (on a good day) that it cannot be. Therefore, having people in your life who want to learn alongside you, or connecting with other families going through the same thing, is crucially important for especially my son and I. The last 2 years have at times been very painfully breaking, adjusting, transforming. A lot has been bad, to be honest – but also good: because beautiful things (like people! And incredible God moments! And different awarenesses and strengths) have shown up in big and small ways throughout this part of the journey. I have seen our children suffer, and crash, and cope; and bear difficult times that affect all of them. I see them having to carry different responsibilities and mental pressures and health decision-making than other kids their age. I also see them do that incredibly well. I have seen them filled with hope and laughter and joy. I see them living in the moment (and not worry like their Mama) and being playful and lighthearted. They are the funniest goof balls ever! I see their faith and trust. Their ability to let go and keep moving. And, they keep me moving too. I think I am learning better overall to balance the bad with the good. That said, I still get kicked in the pants by this disease on a regular basis. I am now just less taken by surprise when it happens. My children are my inspiration, God is my strength and hiding place, and family and friends are my encouragement and sounding board as I struggle to pick up the pieces or get stuck in melodrama for too long. Sometimes my perspective is healthy- and sometimes it is pretty terrible. I am well aware of worse situations people all over the world are going through. My heart also aches for them and prays for relief from suffering. And I do feel very thankful for some of the modern-day technology that is helping us in our situation: many sadly do not even have access to that gift. We have a lot to be thankful for. I know this will pass, and he will be okay – he is amazing that way- but it is just hard in the meantime. Thank you for your heart and God bless. My prayers to your son Saskia, and to you aswell! As a mother of a 6 year old boy I can only imagine what you are going through. I am very new to WordPress.. Have read many blogs and this is the first I have commented on 🙂 it really caught my eye. You’re so sweet-thank you so much! Yes- children can be amazingly brave. Thank goodness. I am pretty new to blogging as well- only since June, and I am totally just learning as I go 😊. Thanks for your prayers and feedback- it means a lot! And happy blogging to you. My prayers are with your son and family. You write with such a great and wonderful outlook – as a type 1 of 18 years, thank you for sharing. Our son seems to have turned the corner today and thank God, is starting to heal. I am SO relieved.